WE'VE MOVED! Please click here to go to our new crowdfunding page. 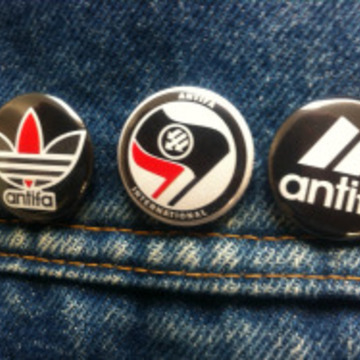 Set of three original 1"/2.54cm antifa pins. 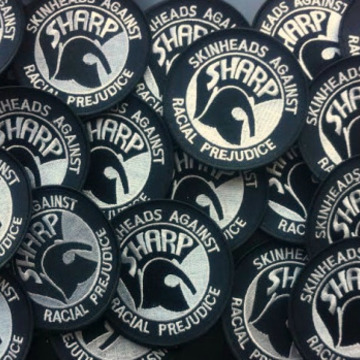 These particular 3.5″(8.9cm)-diameter SHARP patches are kind of special; they were commissioned by members of the SHARP NYC, the first-ever SHARP chapter. 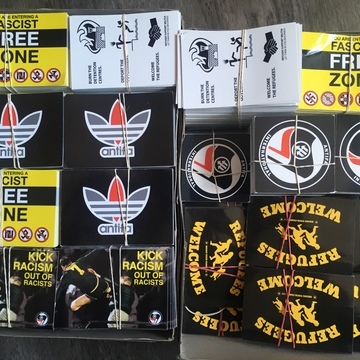 So they are a bit of anti-racist skinhead history! 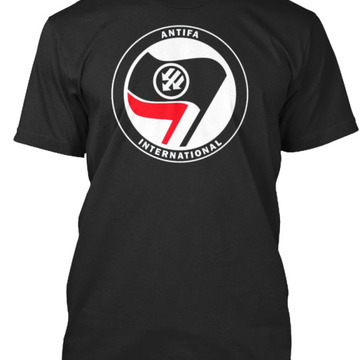 Antifa International t-shirts, sizes XS-XXL! 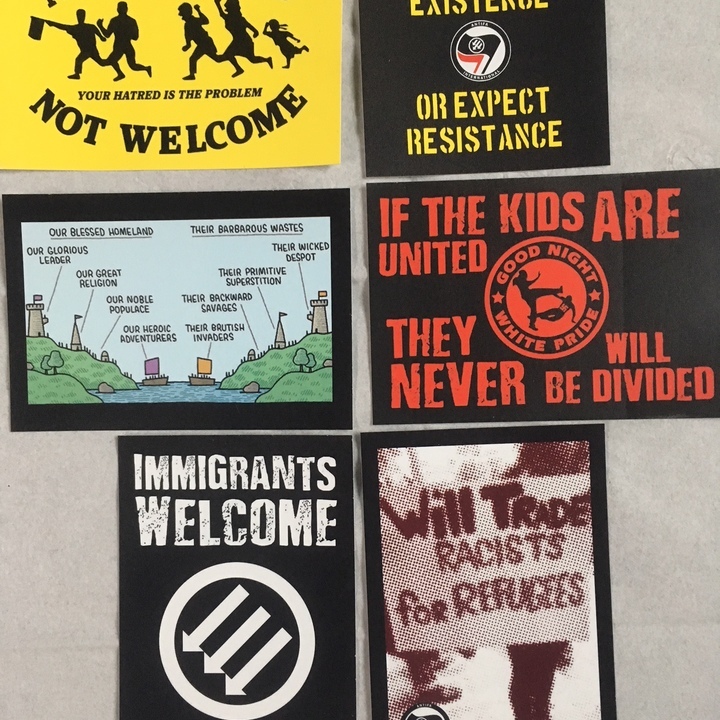 Antifa Int'l. Rojava Solidarity Flag! 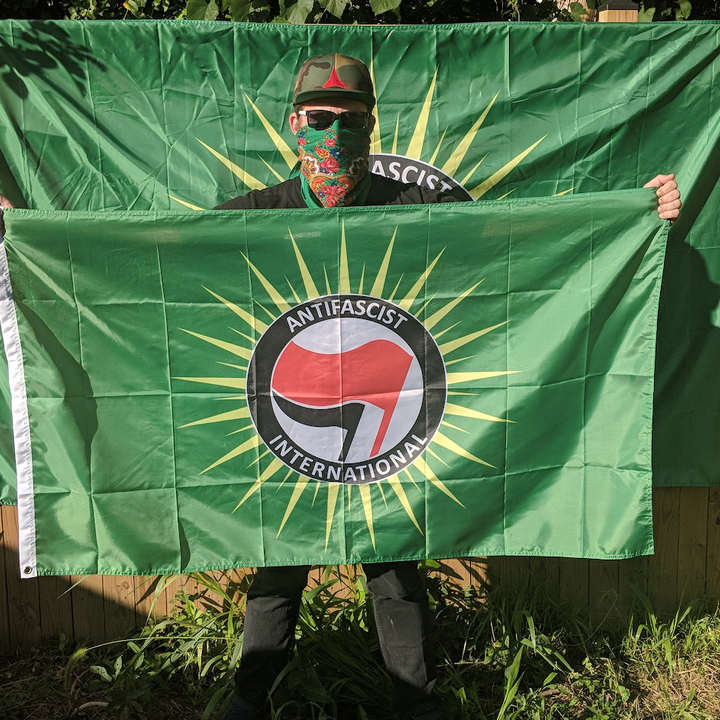 This 3'x5' flag celebrates our solidarity with the Rojava revolution! All proceeds will be split between The Internnational Anti-Fascist Defence Fund & Hevya Sor A Kurd - the main source of health care in Rojava. 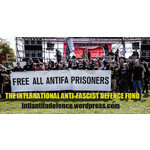 Our 96cm x 143cm (38″ x 56″) flag with the logo of Antifa International! 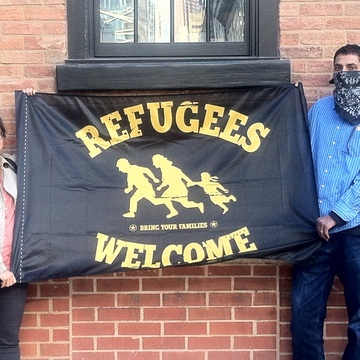 Our 96cm x 143cm (38″ x 56″) Refugees Welcome flag! 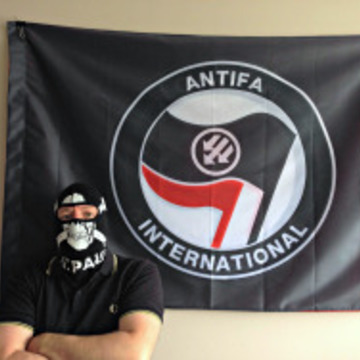 Mark Bray's 2017 New York Times bestseller provides a historical overview of anti-fascism as well as an overview of the modern antifa movement, with interviews and advice from antifa organizers past and present. 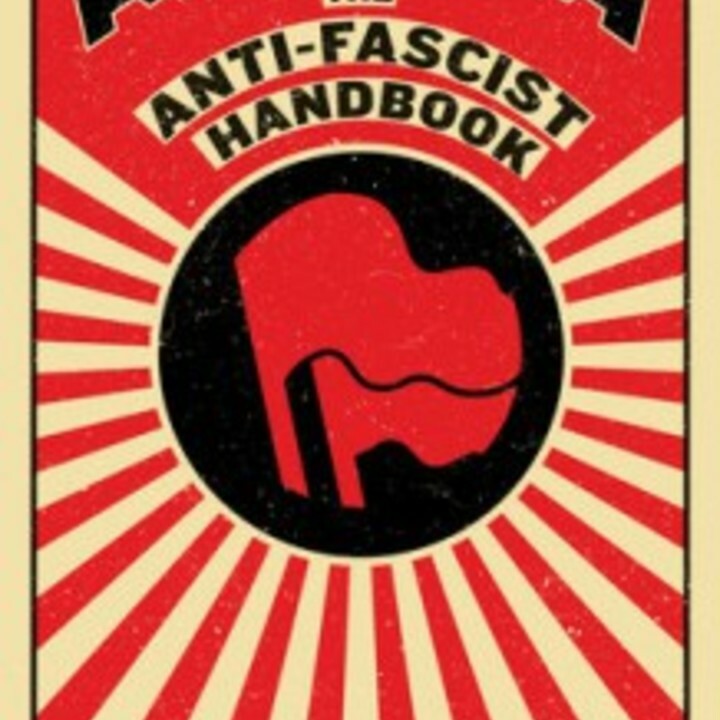 It also thoroughly debunks the main arguments and criticisms against anti-fascism with clear logic and reasoning. Thanks to the author, we have a limited number of author-signed copies of this landmark book available for contributors!